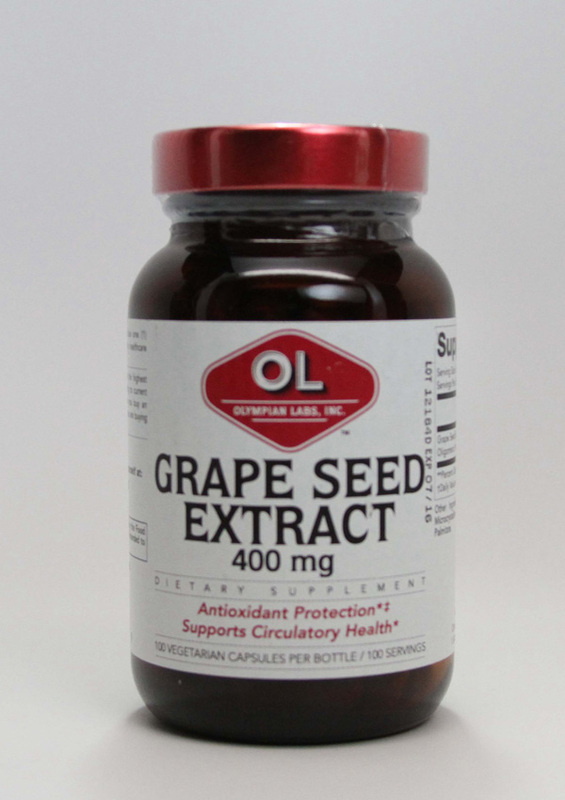 Grape Seed Extract Naturopathic Strength features our strongest dose of antioxidant support with three powerful antioxidants. Derived from whole grape seeds, Grape Seed Extract Naturopathic Strength features our strongest dose of antioxidant support. With three powerful antioxidants including Proanthocyanidin, Catechol, and Gallocatechol, this supplement supports normal blood vessel health and a normal response to free radicals. Olympian Labs Grape Seed Extract Naturopathic Strength is completely water-soluble and absorbs into the bloodstream easily. 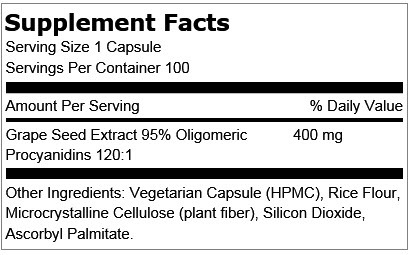 As a dietary supplement, take one capsule once to twice daily, or as directed by a healthcare professional. Corn. Yeast. Gluten. Wheat. Soy. Lactose. Milk. Egg. Artificial Flavors. Sugar. Artificial Sweeteners. Salt. Artificial Preservatives. Artificial Colors. Barley. Citrus. Fish. Salicylates. Coatings. Consult your healthcare professional before using this or any other nutritional supplement.